I was shocked when I heard Len Berman of WOR radio mention on his show the death of a black car driver, Doug Schifter in front of NYC Hall. The Schifter family were our next-door neighbors in Canarsie, and I knew him from birth. I saw him a few times after we moved to New Jersey in 1965, but it has got to be at least 45 years since I last saw him. I knew that he was a driver, but very little else. 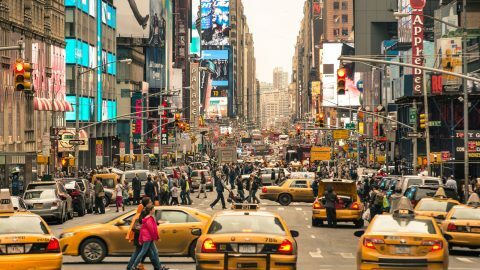 I had a discussion with my cousin’s husband recently about the proliferation of Uber and Lyft drivers, and how unfair it was to professional, licensed drivers – both medallion owners and drivers, and black car services and their drivers. Having relatives and friends who were drivers many years ago, I knew all the hours they put in to make a decent wage. I can understand the frustration and despair Douglas must have felt. Please accept my sincere condolences on his death, and I hope his passing and the other two drivers’ deaths are not in vain. I never met Doug, but I heard about him, and read some of his articles. I share the same concerns that he wrote about, and how he felt about the politicians that have done so much damage to our industry. I couldn’t agree more with the things he said on that subject. I speak to drivers on a daily basis, and I can honestly say that this is one of the lowest points our industry has ever seen. So many drivers feel degraded, and nothing seems to be getting better. It’s even worse for drivers who have been around for a lot of years. They put all of this time into their profession, and it has really become an uphill battle. At the BCAC, we’re looking for ways to deal with this very serious issue, but it’s very difficult when there are so many forces fighting against you… as Doug so eloquently wrote. I can only hope that his death will not have been in vain. It’s just two days after tragic loss of Doug Schifter, and the TLC is suddenly doing research about how much money we make. Anyone with half-a-brain knows it’s much less than we used to make. It doesn’t matter what you drive – yellow, black, green, brown. Insurance is expensive, thousands of dollars a year. 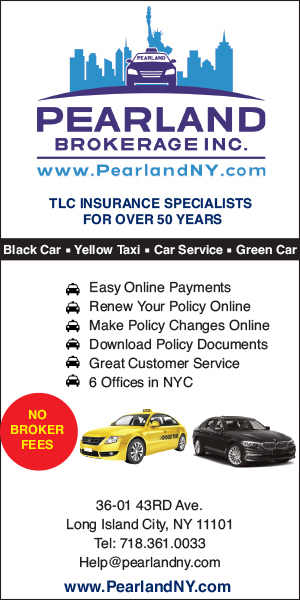 NYPD traffic police and TLC target us, give us tickets for nothing. Last year, I made about $1,500 a week; this year, hardly $1,000. God help us. What do you do when people in power hear you, but don’t listen? Doug’s message was not just his – it was all of ours. Doug made the ultimate sacrifice for us, just to get that message across. I wish he hadn’t felt that was the only way… but I understand how trapped, frustrated and hopeless he must have felt, and I blame the City of New York. I’m reminded of Thích Quảng Đức, a monk that burned himself alive in protest of the persecution of Buddhists in South Vietnam, or Mohamed Bouazizi, whose protest sparked the Arab spring. Throughout history many have sacrificed themselves in protest of injustice, of abuse of power, of wrong. And these people were not nuts, as Mayor de Blasio or TLC Commissioner Joshi would have us believe. They just had a deep sense of justice and caring. What gets me the most is the brazenness of it all – the City knows what they are doing is wrong, they hear us, but they don’t care. It’s beyond frustrating. When I first read about Doug, I wasn’t sure why the date February 5th seemed so familiar to me. Then I realized it was also the date the Taxi riots of 1934 began. Why did we have these riots? The city allowed too many taxis on the streets. It seems obvious that history is repeating itself. The truth is that the City is deregulating, and people see that. We are not blind or stupid. There are about 100 cars being added everyday now. We have oversupply, we have congestion. And we have a feckless leadership that would rather disrespect the memory of someone like Doug than admit their own wrongdoing. So, what will be? 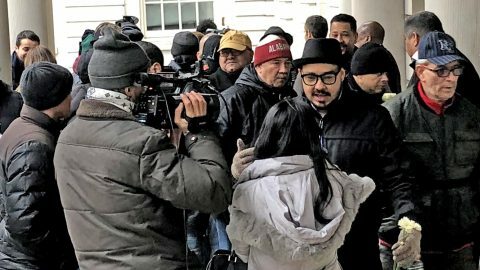 This de facto deregulation is a form of theft – from Medallion owners, from long-time black car drivers, from the commuter van operators – and I feel bad for the new drivers that are also getting suckered into the fold by Uber, and can’t keep up with their car payments, too. The cries of all of these people need to be heard, and justice needs to be done. Condolences to a brother driver from another city. Here in Key West we have been outsourced at the state level, and now [Uber and Lyft drivers] swarm down here from Miami like locusts. I have seen them with license plates from every US state, and even Quebec and Ontario! The local cops have been told to leave them alone by the city commission. I’m changing career fields after 24 years in the biz. RIP, Mr. Doug Schifter. Gone but not forgotten. I think we’ve all felt like Doug at some point. I spoke to a former Passenger I drove steadily, who happened to be a TLC commissioner. When they were deciding on whether drivers could work for multiple bases, I called her crying that morning. I wrote a letter to sway her vote a week prior. She told me the decision was made. But just be prepared to prove how this decision hurts your industry. TLC needs proof. 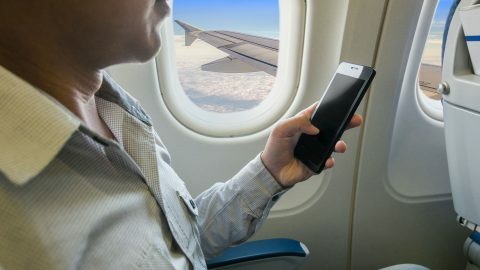 Neil, bases closing or are in turmoil, drivers unable to keep up on their bills, congestion in the airports/Manhattan and Doug’s ultimate passing .. I can name 4 stroke victims from one car company alone…. this isn’t enough proof? I understand, living off of this industry, what he must have felt. There is a sense of hopelessness and whenever you turn around there is one more agency trying to take more money out of the pockets of the drivers. It is with a very heavy and saddened heart, I am attempting to pen a few words about our dear and beloved Brother, Doug Schifter. May his soul rest in Peace. In late August of 2017, Doug confided in me that he was very distraught and frustrated at what had happened to our Industry. I was concerned for him, because I knew he was having a difficult time, financially and physically – and after more than 40 years of working in the Industry, it looked like he was not going to be able to continue doing the job that he had loved, and had been passionate about for so long. About a month later, I was diagnosed with Myasthenia Gravis, and hospitalized. Despite having his own serious problems, Doug came all the way from Pennsylvania to visit me in Queens. His car was out of commission at the time, so he actually had to rent a car. I was in the hospital for 19 days, and Doug’s visit gave me comfort, and meant a tremendous amount to me. That’s the type of person he was, someone who would drive all that way when he himself was truly hurting, just so he could cheer up a friend. Doug was a gem of a man, with a golden heart. The fact that he was a Jew and I am a Muslim did not in any way affect our respect for each other, or our deep friendship. I believe in good faith, and Doug never looked at race, Religion or ethnicity as something by which to judge people. He saw all of us as his Brothers and Sisters. I remember him telling me about his participation in a 1978 or 1979 demonstration to bring the Soviet Jews out of the then-Soviet Union. He told me he walked on crutches for miles on a hot, humid and muggy Summer day in Manhattan, in order to make his voice heard. For years, Doug tried to get people to join his efforts and fight the City for all of the terrible things that they have done, and that they allowed to happen to our Industry – but it was always difficult to get people to work together. Drivers work long hours, and many fear retribution by the City if they stand up and fight for their rights. I would like to respectfully bring a up few issues that Doug had discussed with me many times, because these things need to keep being said until something is done to rectify them. Doug rightfully held many politicians responsible for the destruction of our Industry, many of whom are elected officials, and he also said that it is important for drivers from every segment of our industry to work together and vote these same people out of office. 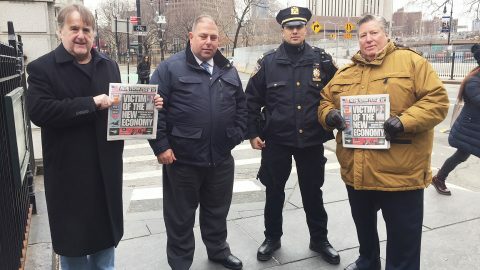 Doug predicted that Governor Cuomo, Mayor de Blasio and the TLC would destroy the value of Taxi medallions by NOT placing a cap on the number of FHVs, but the oversaturation of our City’s streets with tens of thousands of extra cars actually started because of decisions made by Mayor Bloomberg. As much as all of these additional drivers have made it harder to earn a decent living, there is one silver lining: When you add up all the drivers, the people who work for and own the bases, the vendors who serve our Industry, and all of their family members and close friends, we easily represent more than a million votes now. We must use our voting power to peaceably continue in Doug’s footsteps and bring positive change to our Industry. Throughout the 1980s and 1990s, when Black Car bases wanted to add an extra 15 or 20 radios, the TLC would take months to approve those applications. Unfortunately, now anyone can get a TLC license and start working for one of the app bases, without any real training – and as the size of the fleet working under the TLC continues to grow so quickly, the percentage of drivers who make no attempt to be professional grows as well. Drivers like Doug, the veteran drivers, are the ones the City should seek to protect the most. They know the city and they make all attempts to serve riders with dignity and graciousness – unlike a lot of the new drivers, who just rely on their GPS, and do not even have good manners. I am respectfully calling on Mayor de Blasio to name the eastern gate of City Hall, “Doug Schifter Way.” It would help honor and memorialize Doug, so his years of sacrifices are not in vain. I also demand that politicians stop referring to Doug in any kind of disparaging manner. They need to show him the respect he deserved… he earned it. I miss Doug more than I can say. He was a big teddy bear with a golden heart, who always had the best of intentions and cared deeply about other people. There were times in my life when others have sought to question my honor, but Doug always vouched for my character. Doug’s words made a tremendous difference, and I have in fact made some good friends in this industry, in large part because Doug was on my side. I will be forever grateful to him for that. May his soul rest in Peace and may G-d Almighty Richly Bless you, Neil, and your loved ones, for allowing us to honor Doug, voice our continuing concerns about the industry and help start the healing process by expressing our despair over his death in your newspaper. 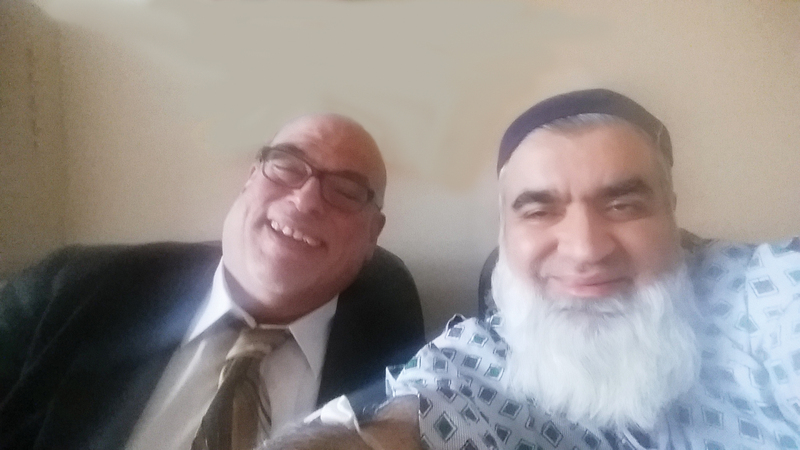 Doug Schifter when he visited Sultan M. Faiz in the hospital. 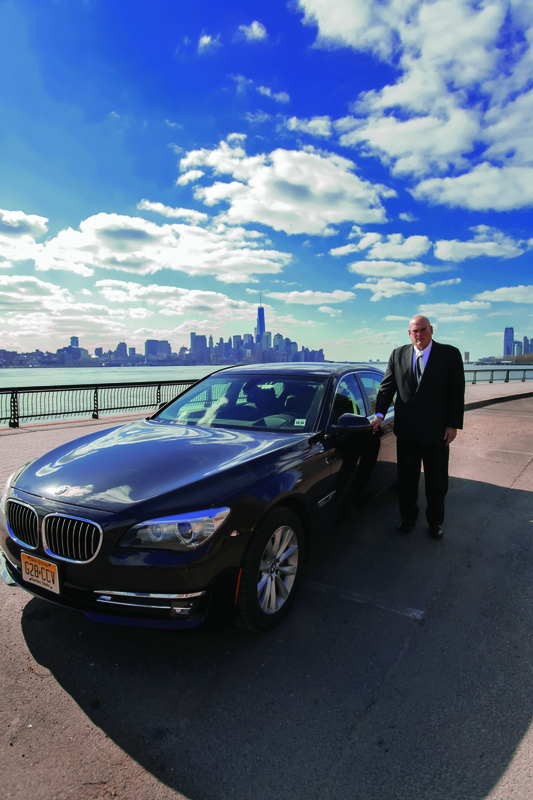 During his time as a columnist for Black Car News, Doug Shifter had the courage and insight to write about all the hardships and injustices our city’s drivers have faced, and detailed some of the many ways the City, State and TLC have abused the drivers. Shame on the Mayor, Governor and TLC for allowing a wonderful Industry to be reduced to its current state, where drivers struggle to earn a living, and are physically and mentally exhausted from working long hours and spending so much time in traffic. I think all drivers from every part of the Industry should follow what Doug said he wanted: They should DEMAND a meeting between the TLC, City, State, DOT, NYPD, Medallion drivers and owners, app companies, Black Car Bases, Car Services, Green Cab owners, Disability Advocates and the financial institutions that have already made billions of dollars from the drivers. They need to determine a fair price for medallions, and mandate financing for new drivers wishing to purchase one. They should cut in half the number of drivers working for the app companies and demand all app vehicles be doubled-shifted so drivers have an actual career. 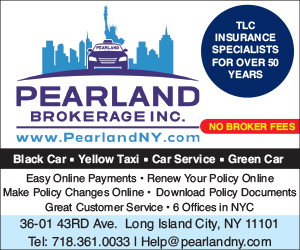 They should insist that the MTA provide all Industry Drivers with health care and pensions, the same way the MTA provides it to their employees – and it can be paid for with a surcharge, like the Black Car Fund. They should also create a surcharge on all rides to pay for a fleet of Wheelchair Accessible Vehicles, and allow drivers to earn a fair income if they choose to drive a WAV. It is a tragedy that Doug did what he did. But I am reminded of some of history’s great leaders who were willing to go to jail for their constituents – including TWU President Mike Quill, who was jailed in 1966 so the TWU workers received the benefits that they still enjoy to this day; Nelson Mandela, who spent a lifetime in prison for standing up against injustice; and Martin Luther King, who knew his life was in danger, but had the courage to lead the nation during the Civil Rights Movement. May GOD provide the strength, wisdom and humility to everyone who now needs to demand justice for the Industry. Is there any way to donate directly to Doug Schifter’s family? I think we should organize a GoFundMe page or find some way to collect money for Doug’s family for expenses. We should also ask the DOT name a street in Doug’s memory on the block where he so tragically died. May god bless his soul, we all feel his pain. Editor’s note: The Black Car Assistance Corporation has agreed to pay for the expenses relating to the funeral and burial. The Schifter family is also working on a GoFundMe type fundraising program that will be designed to help other drivers who fall on hard times.